It’s been a great weekend and now it’s time to settle into bed to get a good night of sleep before the busy week ahead. After waiting for a few minutes, you start to get a little anxious: You aren’t falling asleep. You start to worry about your function the next day. Then, you realize that trouble falling asleep seems to occur every Sunday night. What causes this? What makes Sunday night so special? It seems to be mostly commonly associated with difficulty falling asleep. Insomnia is defined as trouble falling or staying asleep. When it takes more than 20 to 30 minutes to drift off, this may be a sign of a problem. There are lots of potential causes of insomnia. When it occurs, anxiety may make it worse. Pressure to fall asleep, or even the slightest focus on it, makes it nearly impossible to doze off. Sunday night may be the time that you start to think about the week ahead. If you hate your job, or if it is stressful, you may approach the week with dread. You might think about the coworkers who drive you crazy. You might ruminate on the projects that seem overwhelming. You might ponder the biggest stressors that you face in the week ahead. None of these thoughts will be conducive to falling asleep. It may be helpful to use scheduled worry time or relaxation techniques like breathing to relieve this stress. You may be able to distract yourself from these thoughts and fall asleep more easily. If you have persistent anxiety, you may need further help with the use of medication or psychotherapy from a counselor. There is strong evidence that changes in the sleep patterns of the weekend may make it harder to fall asleep on Sunday night. It is very common to be sleep-deprived during the week. You may get to bed too late or you may have to wake early. Getting the children ready for school, or making the commute to work may prompt an earlier wake time. You may get to bed too late due to projects that delay your bedtime. As a result, you may not meet your individual sleep needs during the week. Each night, you may short yourself a little. Night after night, your desire for sleep grows stronger. When Saturday morning rolls around, you may sleep in. You “catch up” on lost sleep and pay off the accumulated sleep debt. If you don’t get up early Sunday morning, the same indulgence may recur. How does this impact sleep? Our sleep is enhanced through two processes: homeostatic sleep drive and circadian rhythm. The sleep drive is the desire for sleep that builds the longer we stay awake. If you were to stay awake for 30 hours, at the end of 30 hours you would be very sleepy and fall asleep very quickly. You would probably sleep longer and deeper than you normally would. All wakefulness builds this desire for sleep. Conversely, when you sleep, you diminish the sleep drive. By sleeping in, there is a delay in starting to build the desire for sleep. It is almost like going to bed early. If you sleep in two or three hours on the weekend, it’s like going to bed that much earlier. If your bedtime is normally at 11 p.m., but you crawl into bed at 8 p.m., is it any wonder that you can’t fall asleep? Another contribution to poor sleep on Sunday night is our circadian rhythm. We have a natural tendency toward sleep that is synchronized to the day-night patterns of light and darkness. This is reinforced by our genetics as well as morning light exposure. By delaying the wake time, and getting light to our suprachiasmatic nucleus in the brain a little later, the pattern shifts. It makes it harder for us to wake up and harder for us to fall asleep. Our bodies respond best to regular patterns, and this includes the pattern of sleep and wakefulness. Keep a regular wake time (with an alarm, if needed), even on the weekends. Go to bed when you feel sleepy, but try to get 7 to 8 hours of sleep through the week to meet your sleep needs. Try to avoid catching up on sleep on the weekend; get enough sleep every night to feel rested. Weekends are when we can most easily indulge in a nap. Though these don’t usually occur in the morning, they may frequently interrupt the afternoon. Imagine how often you have seen someone dozing on a lazy Sunday afternoon! Sports, movies, and reading seem perfectly paired for dozing on the weekends. Unfortunately, naps can diminish the drive for sleep. Try to avoid taking prolonged naps, especially if you have difficulty falling asleep at night. Naps lasting 2 hours or more are especially problematic. (These naps may also be sign of a sleep disorder, such as sleep apnea.) As much as possible limit naps to shorter periods, perhaps 15 to 20 minutes. Better yet—don't take them at all! These can be refreshing, without impacting sleep at night, but if you sleep poorly, best to stop indulging in them. If taken, try to time the naps to mid-afternoon and avoid sleeping in the late afternoon or evening. Falling asleep in the hours before bedtime will make it especially difficult to get to sleep. Remember: If your insomnia is especially entrenched, cut out the naps completely until your sleep improves. As noted above, try to keep a regular sleep schedule, including week nights and weekend nights. By going to bed at the same time every night, you will fall asleep more easily. It is also important to listen to your body and go to bed when you are feeling sleepy (even if it is later than your preferred time). Sleepiness or drowsiness is different than fatigue, tiredness, or exhaustion. One can feel exhausted and not fall asleep. Sleepiness is the strong desire for sleep that immediately precedes its onset. It may be associated with heavy eyelids, a warm sensation in the body, and loss of focus in vision. Go to bed when you feel sleepy, including on the weekends. Don’t choose an optimistic bedtime based on when you would like to fall asleep. If you need to adjust your schedule, it is actually easier to change your wake time with an alarm. Subsequently adjust your bedtime earlier to correspond with when you are feeling sleepy. Insomnia is more likely to occur if you crawl into bed too early to get enough sleep to start your week. If you are not falling asleep, observe stimulus control. Get up after 15 minutes, do something else relaxing, and come back to bed when you are feeling more sleepy. There are other things that can impact your ability to fall asleep. These include changes in physical activity and the varying consumption of alcohol and caffeine. Some people have very physical jobs. The weekends might be their opportunity to recover and rest. Decreased physical activity, including exercise, on the weekend may make it hard to fall asleep. As much as possible, try to maintain similar levels of exercise on the weekend (or even increase them, if possible). Alcohol may enhance adenosine levels and increase the desire for sleep. Unfortunately, it is metabolized very quickly. The levels drop and the desire for sleep disappears. Avoid alcohol intake in the hours before bedtime. Importantly, do not use alcohol as a nightcap. Caffeine consumption can also impair our ability to sleep. Some people are very sensitive, and caffeine found in coffee, tea, soda pop, energy drinks, or chocolate should be avoided after noon. In others, reducing intake after mid-afternoon may be sufficient. If you have insomnia, try eliminating late consumption of caffeine to learn if it is impacting you. When difficulty falling asleep persists, consider other potential causes of Sunday night insomnia. Are you reluctant to go to bed because it means ending the weekend? Are you avoiding the stress of the work week? Is it time to make serious changes in your life to relieve stress? 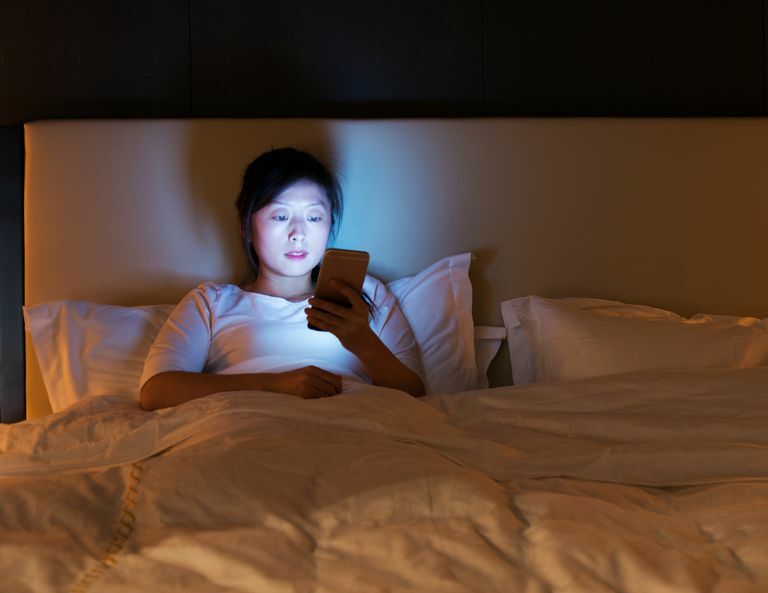 If your insomnia persists, consider speaking with a sleep specialist about treatment options that may be helpful, including cognitive behavioral therapy for insomnia (CBTI). In rare cases, the use a sleeping pill on Sunday nights may be helpful. Here's the good news: You can sleep normally, even on Sunday nights. Kryger MH et al. Principles and Practice of Sleep Medicine. Elsevier, 6th edition, 2016.